​CropLife Philippines and the Department of Education district in Victoria, Laguna recently conducted the Gabay Tungo sa Maunlad na Pagsasaka ng Pamilya at the Victoria Central Elementary School in the province. 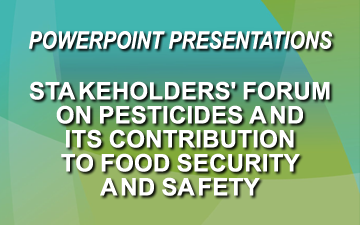 The school and community based stewardship program on the responsible use of crop protection products aimed to educate students, teachers, farmers and other stakeholders on the proper use of crop protection products. According to CLP Executive Director Edilberto de Luna, they came up with the program to dispel misconceptions about the effectiveness of the use of crop protection products against pests. The event also sought to discourage the misuse of these products that also cause more harm than good for farmers whose crops are plagued with pests. 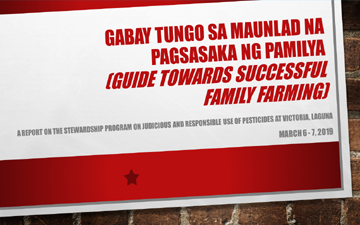 “We wanted to educate our future our young ones, as well as those who are in the fields all day how to effectively use these farm protection products so that they may fully serve their purpose which is protecting crops from pests and protecting the farms from pests,” he said. The event focused on topics like preparation, spraying, cleaning, triple rinse and storage. Experts also shared their insights on the proper handling of chemicals. Later on, the organizers held an obstacle course game wherein they tested how well the participants were able to imbibe the lessons of the workshop. 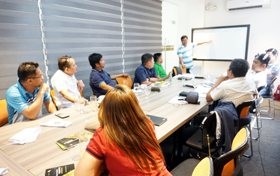 ​Stakeholders have banded together to form the CropLife Regional Action Network (CRAN) SOCCSKSARGEN after a meeting held in General Santos City last Feb. 27, 2019. 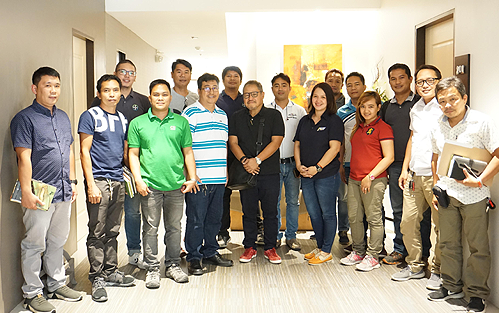 ​​CropLife recently conducted a Pesticide Forum at the Acacia Hotel sa Muntinlupa. The event, attended by various stakeholders in the agriculture industry, was held in partnership with ​the UPLB's National Crop Protection Center. 2018 has been a landmark year for CropLife Philippines as it made headway in its advocacy to advance the plant science industry in the country and make a difference in the agricultural sector. Discover how insecticide resistance develops and the conditions that propagate it. Learn the Science and practices on how to effectively manage insecticide resistance in your farms. past Vice Chair of CropLife's Seeds Committee, Doc Felipe dela Cruz.